"A vibrant, engaged musician and an accomplished pianist who has something to say and says it personally and convincingly", Daniel Blumenthal, performer and professor at Flemish Royal Conservatory of Brussels. Ivo Piscevic started to study piano at the age of six. After early music studies in Belgium he entered the Conservatory of Luxemburg in 2005, where he gets Degrees in eight different subjects (Piano, Chamber Music, Harmony, Counterpoint, Fuga, Analysis, Solfege and Orchestral Conducting). He soon discovered himself a passion for music composition as well as for piano, and gets a Superior Diploma of Counterpoint with "High Distinction" in 2013, as well as a Superior Diploma of Piano with “Very Good”. 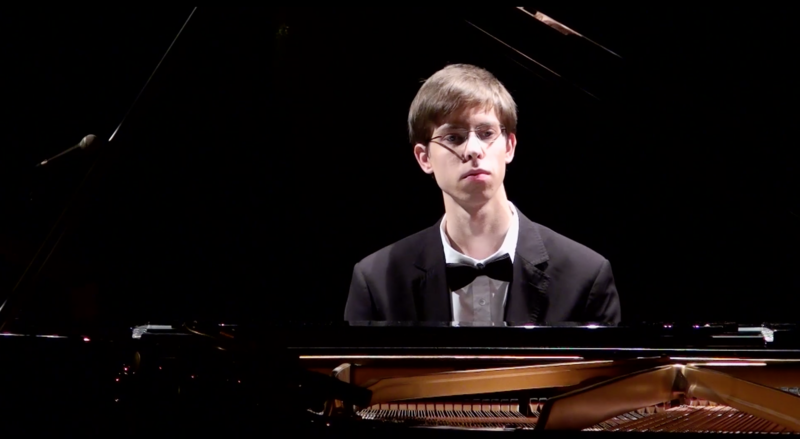 Together with his studies in Luxemburg’s Conservatory he was admitted in the Ecole Normale Alfred Cortot in the Counterpoint class of Stephane Delplace, where he gets a Final Diploma in 2013, as well as in the Schola Cantorum in Paris in the Piano class of Gabriel Tacchino. He graduated with a Superior Diploma in 2013 with mention "Very Good". In 2014 he entered the Koninklijk Conservatorium Brussels in the class of Daniel Blumenthal for piano and Hans Van Daele for music writing, to get his Bachelor and Master Degrees. Together with his regular studies he has attended many piano Masterclasses, with among others T. Duis, G. Tacchino, D. Ciocarlie and B. Berman. Ivo Piscevic has been invited to give concerts among others at the Music Festival of Bourglinster’s Castle in Luxemburg, the “Altrimenti Center Open Air Nights”, as well as laureate with the chamber orchestra Estro Armonico conducted by Carlo Jans. In 2014 he received invitation to participate in the World Premiere of the piece "GE0433 RPM" from Patrice Coulombe, which was created for the opening ceremony of the exhibition “Les temps Inachevés” from Patrick Bernatchez. Ivo Piscevic is laureate of the International Composition Competition in 2012 and 2013. Some of his works have been performed at Conservatory students’ concerts as well as for examinations, and were the subject of CD recordings both live and studio. Concert study "in the woods"
Praeludium "La fille aux cheveux de lin"
Piano study "Pour les arpèges composés"
Dance n°5 from "Spanish Dances"
- " Ivo Piscevic was my student at the Schola Cantorum. I especially appreciate his pianistic qualities and facilities, as well as his excellent musical qualities that fit very naturally to various repertoires we worked together . " Gabriel Tacchino, Honorary Professor in CNSM Paris, Professor at Schola Cantorum.